Do you have any free reads on your website? I do! There are various extra chapters and deleted scenes all over my website. If you check the Book Extras on each book page, they will be listed there. My American Duchess has a short prequel story that introduces her mother and father. Four Nights with the Duke has two deleted chapters! There are more being added all the time. 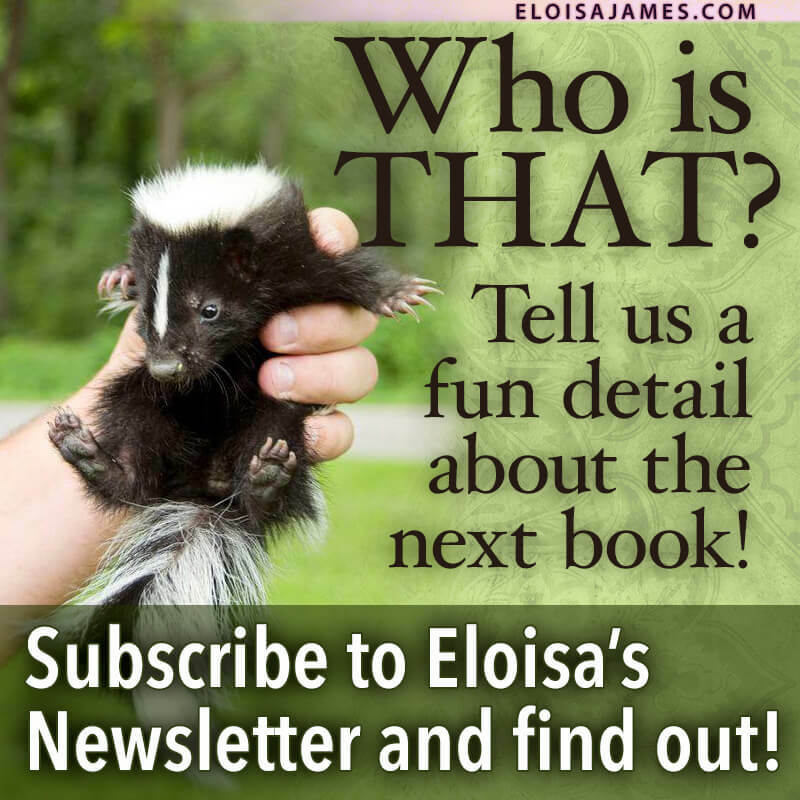 Make sure you are signed up for my Newsflash and Newsletter and follow me on Facebook page. Special content like this is always posted there as it comes out.